Big Switch Networks are disrupting the status quo of data-centre networking with order of magnitude improvements in network intelligence, agility, and flexibility by delivering Cloud-Native Networking. 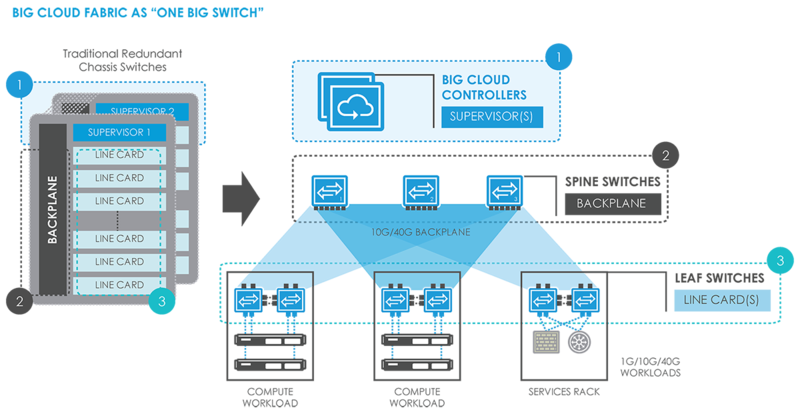 deployment flexibility powered by a scale-out architecture and open network hardware. 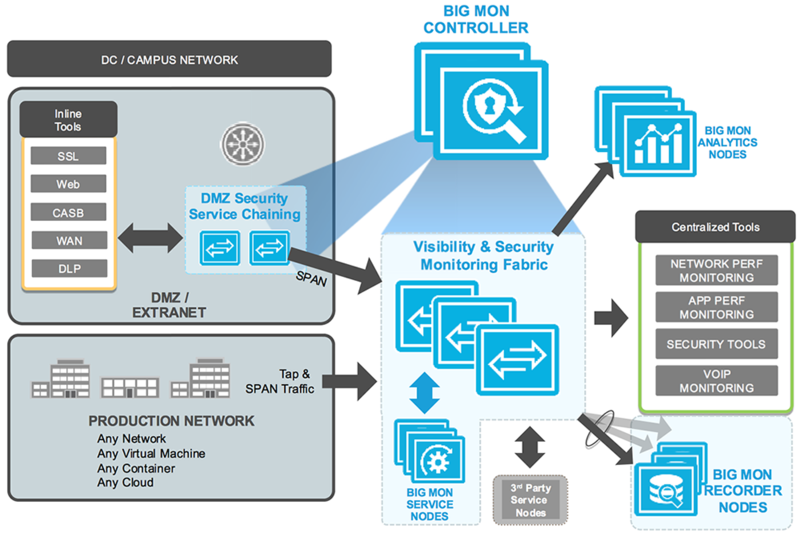 Big Monitoring Fabric™ combines the functions of traditional NPBs with the intelligence, agility and flexibility of a true SDN fabric. It delivers network packets to both passive and active performance and security tools, and allows network and security teams to define delivery policies for each tool. Unlike traditional NPBs, which function box-by-box, Big Mon acts as a single logical NPB — built with open-hardware networking switches and x86-based DPDK Service Nodes, managed from a high-availability controller. Additionally, it integrates with Analytics Nodes as well as Recorder Nodes to provide advanced network Telemetry for pervasive security and deeper visibility through a single pane of glass. Because Big Mon’s logical NPB fabric is decoupled from the physical visibility nodes, network operators can deploy, operate, scale and innovate faster.